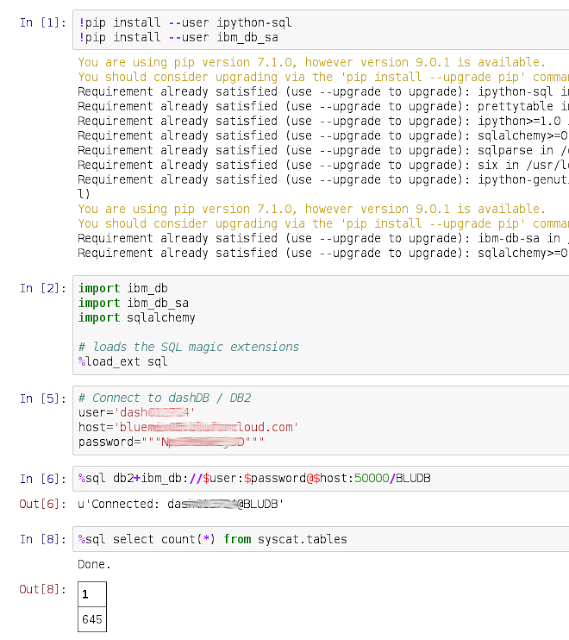 The "%load_ext" is needed to make the newly installed extension for "SQL Magic" known to the computing environment. The "import" for the modules is not necessarily needed, they are used by the extension. 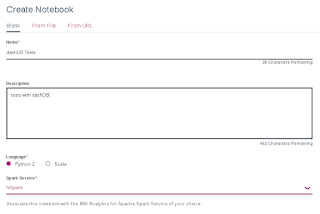 Thereafter, the environment should be ready to create a database connection and the execute SQL statements against DB2 or dashDB. The following screenshot shows the commands in the notebook which I created. 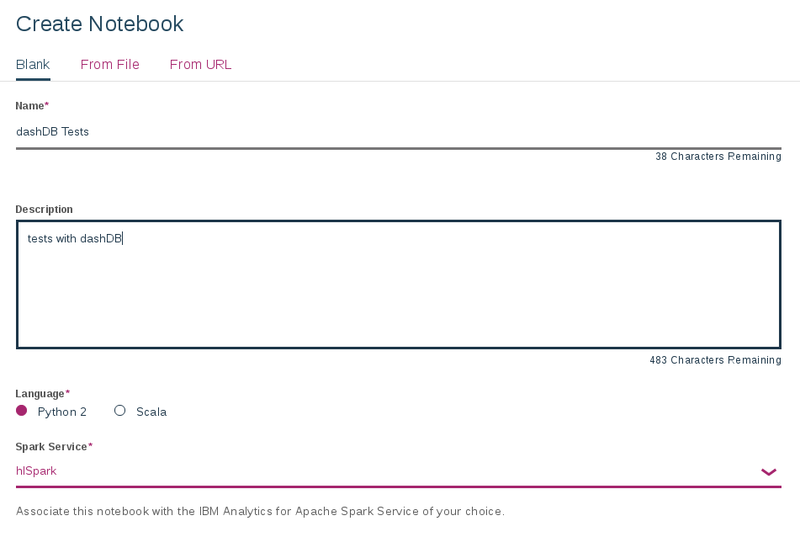 I used my dashDB created via IBM Bluemix to connect to. 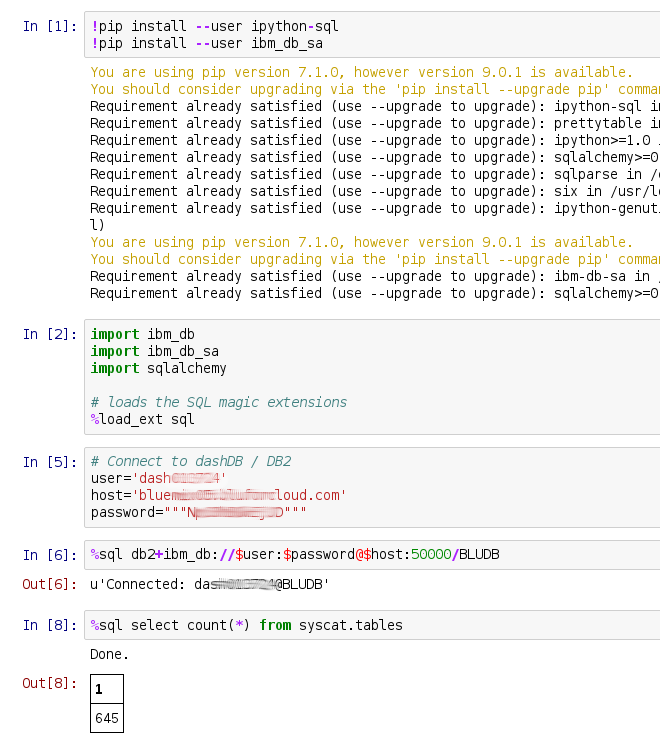 If you should run into an error like "can't load plugin" for DB2, then restart the Python kernel and load the libraries and the SQL Magic extension again.